Shoes that Texas residents no longer want can help create sustainable jobs many in developing nations need. That’s the message being delivered by Soles4Souls—a Nashville based non-profit social enterprise that has opened a new donation facility in Dallas to serve residents all over the state. As part of a nationwide initiative, Soles4Souls has launched seven new locations across the country to fulfill its mission of disrupting the cycle of poverty. These facilities collect new and gently-worn shoes to help the organization create long-term solutions to poverty while also keeping unwanted textiles out of landfills. New and gently-worn shoes can now be shipped to or dropped off at 505 Airlne Dr., Coppell, TX 75019. For more information, to launch a shoe drive or to schedule a donation drop off, please contact Nicole Gabehart at nicoleg@Soles4Souls.org. The World Bank estimates that approximately 767 million people live on less than $1.90 per day. Many people living in poverty lack access to sustainable employment. The shoes collected at Soles4Souls’ new facility in Texas will benefit the organization’s job creation program in countries like Haiti, Honduras, and Sierra Leone. Entrepreneurs are able to start their own businesses selling the shoes in their local marketplaces. This allows them the ability to earn an income and purchase necessities like food, shelter, and education for their families. The Gabehart family has been spreading awareness about Soles4Souls in Texas for many years. 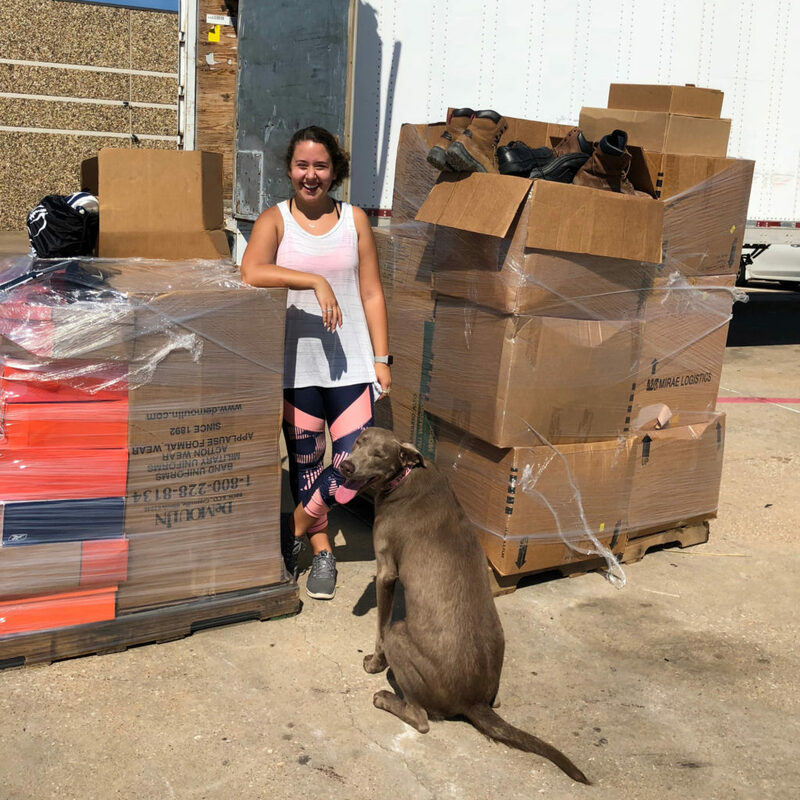 After initially traveling internationally with Soles4Souls four years ago on a distribution trip, Nicole’s father was inspired to get more involved and became a warehouse partner for the organization by donating storage space. Since then, the entire family has been involved in both shoe collection and distribution efforts. Through its disaster relief, micro-enterprise and direct assistance programs, Soles4Souls has distributed more than 30 million pairs of shoes in 127 countries and all 50 states since 2006.